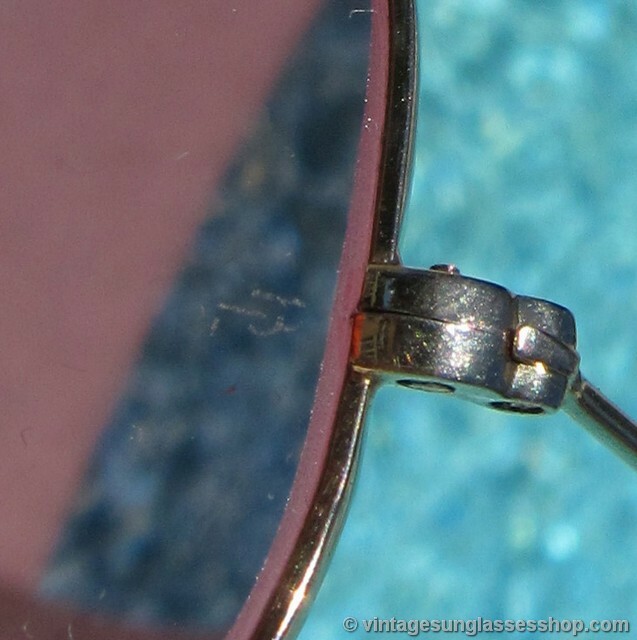 Vintage B&L Ray-Ban bullet hole shooters with pink Changeables lenses are one of the rarest designs in 60 years of B&L Ray-Ban production. 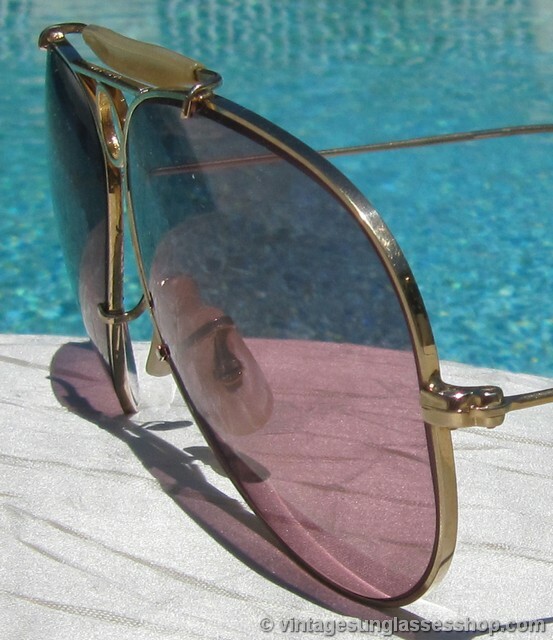 The gold Arista bullet hole frame design was originally designed to provide superior balance and fit for hunters and outdoor enthusiasts, and today they're still used for that purpose but also just because they look cool! 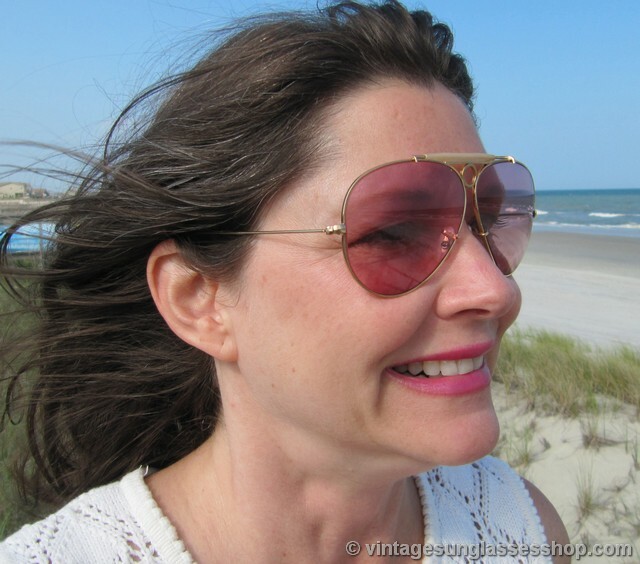 The outdoorsman cable wire ear stems give you the most secure fit over the ears for active outdoor pursuits, and the pink changeable photochromatic lenses will noticeably darken in sunlight and become more richly pink trending to rose color. 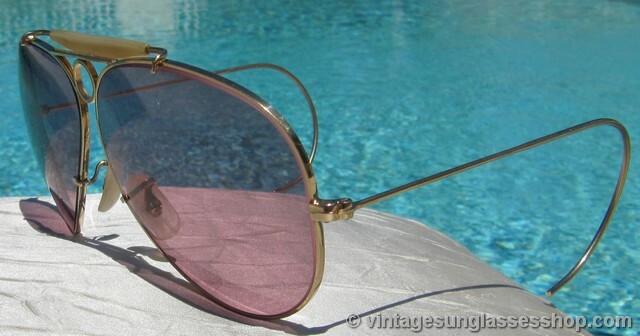 In about 20 minutes after leaving bright sunlight, the pink Changeables lenses will return to their original light pink state. 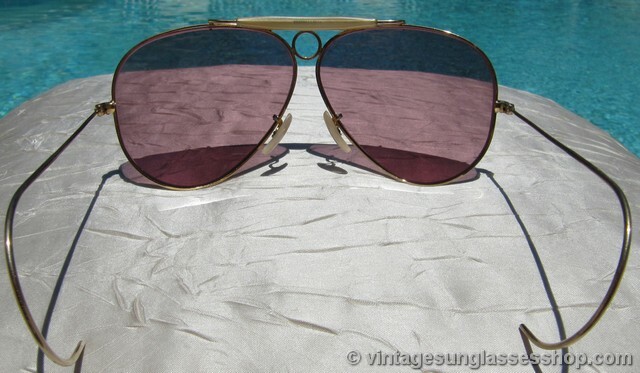 These color changes are not optical illusions but literal darkening of the lens through a B&L optical innovation that infuses these properties in the glass, i.e. 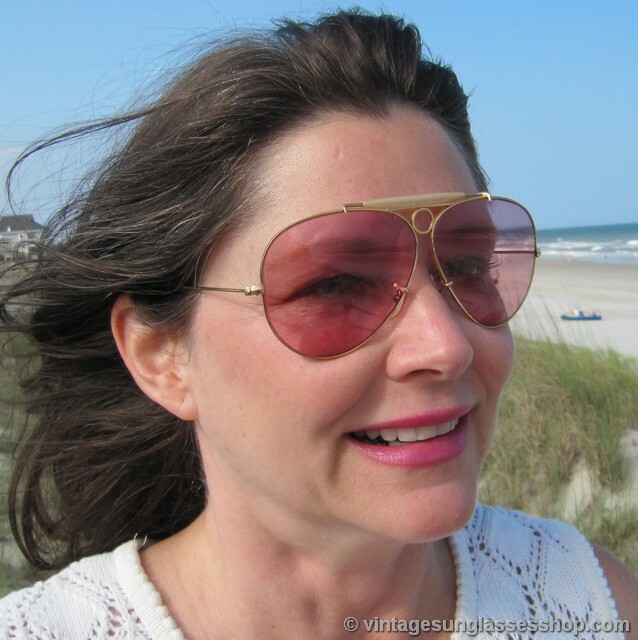 it will never wear out and never rub off. 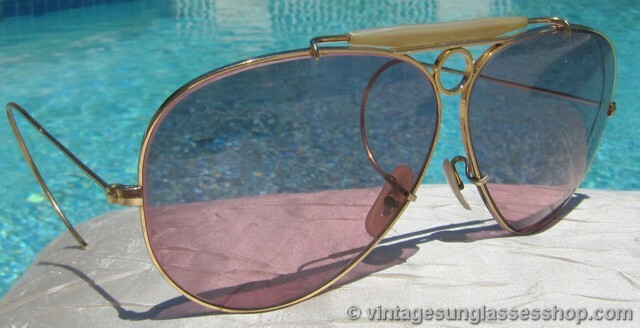 The frame measures approximately 5.375" temple to temple, and the teardrop shaped aviator lenses measure approximately 2.375" x 2.125" at the widest points. 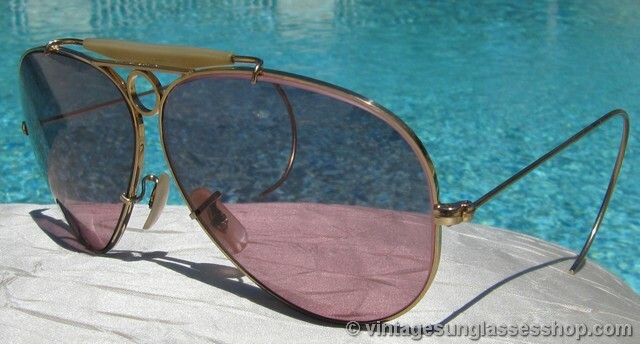 Both pink Changeables lenses are laser etched BL near the hinges, and the top of the nose bridge is marked B&L Ray-Ban USA impressed in the gold plating. 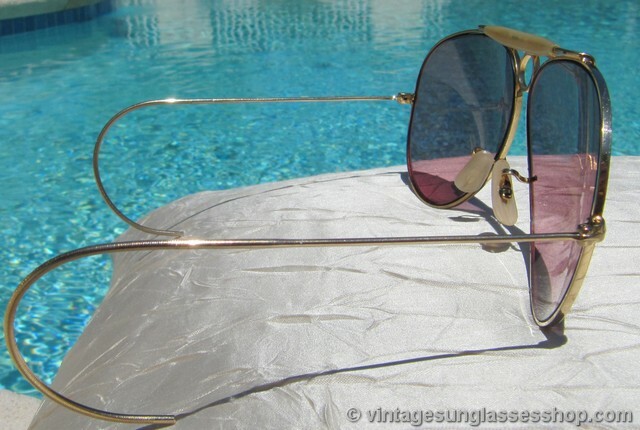 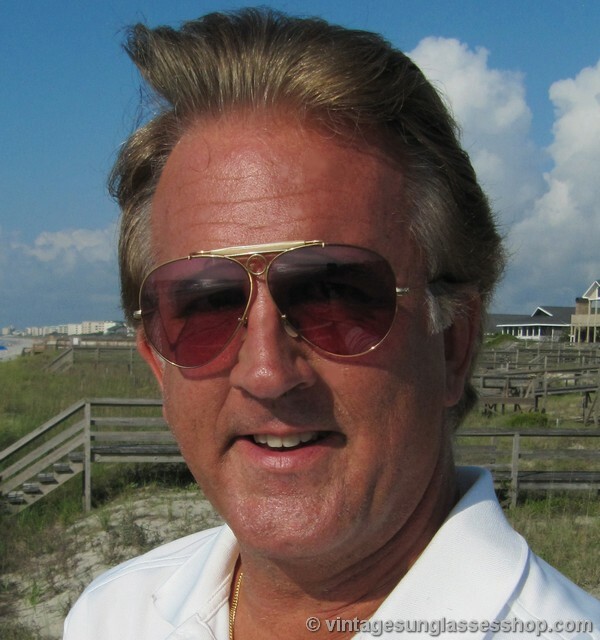 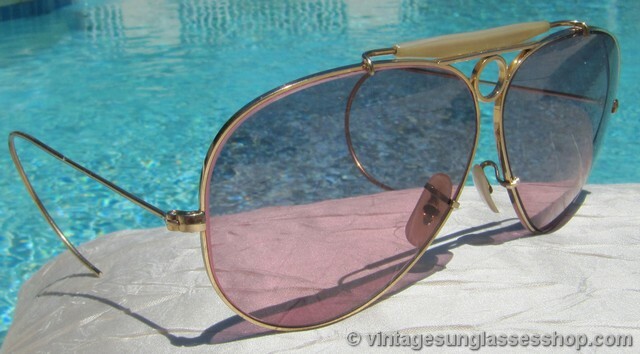 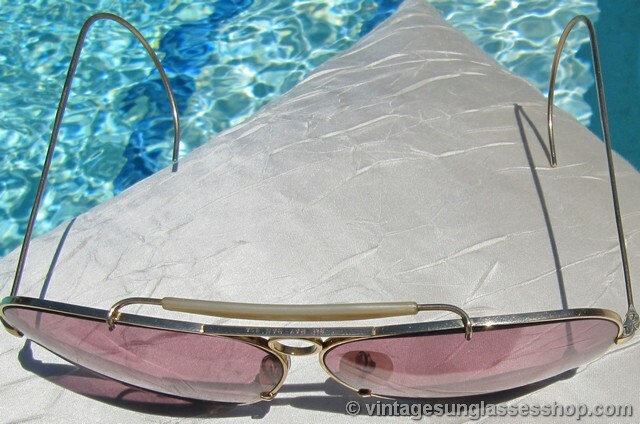 These pink Changeables bullet hole shooter sunglasses also have the pearlized General bar providing a double nose bridge above the "bullet hole", part of the collection of a well known sports figure and long time customer of the Vintage Sunglasses Shop.